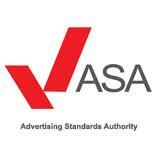 ASA, or Advertising Standards Authority, is the body responsible for the whole of the advertising industry in the U.K. BCAP, or Broadcasting Committee of Advertising Practise, is the organisation responsible for the creation of the advertising guidelines. Essentially, BCAP sets up the rules and the ASA enforces them. In 1961 the Advertising Admission created the Committee of Advertising Practise, which then drafted the first ever guidelines for advertising “the CAP Code”. In the following year, the ASA was then introduced as a way of dealing with infringements on the CAP Code. The ASA don’t operate on the amount of complaints that an advertisement receives. At first this may sound strange but ASA’s argument is that some people will complain about anything, just for the sake of complaining, so it does make sense. ASA respond to the nature of said complaints. For example if 100 people complain that an advert is falsely advertising it’s audience as ensuring they have “the best day ever” then the ASA may not do much about it. Where as if 100 people complain that the advert is offensive to Catholics as it depicts The Pope in a bad way then the ASA are more likely to respond. The ASA also have the problem of defining the word “offensive”. Offensive is an opinion. The ASA is a self-regulatory organisation which means that the advertisers enforce the rulings on themselves. In my opinion the ASA should be a completely separate body from the advertisers, from an outside view it seems too easy to corrupt the ASA. If my advert is a little dodgy and is pulling in a couple of complaints, and yet I’m friends with someone high up, as we’re in the same industry, my advert might not get removed as quickly as it should do. However this can work both ways. If my competitor releases a successful, slightly controversial advertisement, I’m going to be doing everything within my power to block that advert as quickly as possible. BCAP & CAP are both an important part of advertising standards. BCAP stands for Broadcasting Committee of Advertising Practise and CAP stands for Committee of Advertising Practise. The BCAP and CAP codes are the codes that these two organisations have for their area. BCAP deals with anyone showing and broadcasting the adverts, whilst CAP deals with the people making the adverts and distributing them.